In both government and business, stories of disgruntled IT personnel who have wreaked havoc are legion. They include the system administrator who locked everyone else out of San Francisco’s central computer system, the Australian who made a computerized waste-management system spill millions of liters of raw sewage into parks and rivers, the car-dealership worker who remotely shut down the cars of over 100 furious customers, and the guy who hacked into his ex-boss’s computer while he was giving a presentation to the city mayor and put a naked woman on the screen instead. Source. Via Snippets of random. When I tell people that I am going to Brazil, they normally react to the idea of beaches and carnival (to which I respond that I am not going to Rio), or to the economic growth of Brazil. This second reason explains more of my interest in Brazil, but it also seems to be pretty outdated. Maybe people are remembering the BRICs report from Goldman Sachs, but that was a decade ago. All the economic analysis I read nowadays about Brazil are pretty grim. Low GDP growth, corruption, lack of investment, horrid infrastructure… I wonder if all of these news articles just aren’t reaching the public. A recent article from The Economist is just the latest in a long series of publications describing how Brazil’s economy has been weakening, but when is this going to reach the popular consciousness? Greece and Spain see china as a potential solution to their economic problems, while Brazil sees its relationship with China as both a benefit (China buys Brazil’s commodities) and a threat (manufacturing in China threatens Brazilian manufacturing). Source. Not a terrible surprise, really. This image only graphs data from a few years ago, so I would remove the exclamation mark. Both China Daily and CNN recently ran small articles about the growing trade between Brazil and China. It appears that while a conference on international education is happening in Brazil, Brazilians are in China to promote their agricultural products. Brazil exports a lot of food products, and China imports a lot. To continue to fuel Brazil’s growth, these exports are going to need to increase, and as China’s citizens become more affluent, they are going to want more and better foods. I’m not sure if Brazilian foods are going to be a hit with Chinese consumers, but if nothing else more primary materials like soybeans and sugar will certainly increase as consumption goes up on China. The CNN article mentions how Latin America needs to diversify it’s exports more and invest in it’s own industries so that it won’t be seriously affected by any slowing of Chinese growth. I wonder if this will end up being another situation similar to Spain’s, in which problems were left unfixed during boom years and now are a serious drag on the economy. China outstripped the US to become the largest exporter to Brazil this year. During the first 10 months, China’s exports to Brazil grew by 6.2 percent from a year earlier to $28.7 billion. Meanwhile, its annual imports from Brazil have declined 5.2 percent to $35.2 billion, according to official Brazilian data. Trade experts and analysts expect Brazil’s surplus with China to hit $7.5 billion this year. Brazil’s trade surplus with China, for example, was $11.5 billion in 2011. Are these trade surpluses annual flows, or is this the total stock? I just recently watched an MRUniversality video related to this, so it is fresh in my mind. Where do the reporters get these numbers from? Neither of the articles cited any source for the trade surplus numbers. Studying abroad: Europe was the past, now are BRICs the future? I’ve set up a Google Alert so that I am notified whenever there is a news article containing both “China” and “Brazil.” I’m hoping that this will give me plenty of material to write about. The first article that has come up seems like a basic little summary of a fairly routine conference in Brazil, but it definitely relates to bigger trends in South-South relations. Titled Brazil, China cooperate on education, it is from the Xinhua English page. XinHua doesn’t have a fantastic reputation for high quality, hard hitting journalism (Eric Olander talks about this a lot on his excellent China in Africa Podcast), but a simple summary of the opening speech of a seminar seems like it would be hard to mess up. Although at roughly 160 words, this article is very short, there are two important concepts tied in here that I want to explore: World view, and student exchanges. Addressing world view first, I think it is telling that “While developed economies are in decline” is included as a matter of fact. It is not a debatable position, it is not a tentative claim. It simple is. This seems very different from the view in the United States, in which people like much-derided Thomas Friedman (who at times seems to have the ear of all of liberal America) claim that this can be prevented with sufficient investment and innovation. I’m not positive, but I get the general impression that in Europe there is a vaguely similar feeling: Europe is going through a (very) rough patch, but in a decade things will be better and it will be back on top of the world again. I’m not sure about that idea, but I am sure that in the BRICs and other rising powers there is a very different feeling. The feeling in China seems to be that the 1900s were America’s century, and the 2000s will be China’s. Apparently this view is more or less shared by at least some people in Brazil, including the Brazilian Education Minister Aloizio Mercadante. Secondly, I think that student exchanges specifically and educational exchange in general is a very important way for a country to build upon and to exploit it’s soft power. Speaking in my own case, it is very unlikely that I would have developed such an appreciation for and understanding of China had I not studied there. There is an increasing attempt by governments to get their students to study in BRIC countries (see Project Pengyou and the 100000 Strong Initiativefor the U.S.’s effort to get involved in this). The impression I get from the U.S. is that traditionally most students studied abroad in Europe, Australia, or other OECD places. (Does anybody know where to get some statistics about this?) Maybe Argentina if the student was really outrageous. Nowadays, however, the popularity of China is definitely rising rapidly as a study abroad destination, and I wouldn’t be surprised in other developing economies in Latin American, Asia, and Africa are also seeing an increase of European and American visiting students. If nothing else, it saves the universities money: the cost of food an housing for one semester in Madrid or Strasbourg is a lot less than in Nanjing or Minas Gerais. 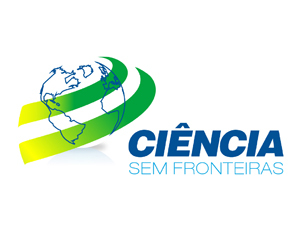 So in general, I think that Dilma Rousseff made a great move in initiating the student exchange program, but I think that they shouldn’t just push STEM education, but also South-South language and cultural exchanges. What do you think, reader? Should Brazil delay South-South humanties-focused exchanges until after a base of STEM-focused students have established themselves, or should cultural and linguistic expertise also be important? Welcome to the beginning of the China Brazil Blog. Here I hope to chart the development of the China Brazil relationship, to report on and analyze events, to critique and praise articles, and to give reader a wide swath of general knowledge concerning both countries and cultures. Over the next few years I’ll be learning Portuguese, buffing up on Brazil, as well as reading everything I can get my hands on concerning diplomacy, trade, investment, and cooperation between the country of the future and the middle kingdom. I see this blog as serving two general purposes. First, it will give me a place to chart my own progress to becoming a Brazil-China expert. This first will involve becoming proficient in Portuguese and becoming familiar with Brazil, and later it will involve delving deeper into issues. My hope is that by writing things here I will not only improve my skills as a writer, but I will also be forces to shape my ideas into coherent forms. Secondly, I’ll be scouring the web for news and articles on the Brazilian Chinese relationship and attempting to analyze developments. In this sense, this blog will also serve as a sort of a resource for Brazil-China news on the web. I’ll attempt to summarize whatever the latest buzz is between these two countries, while sharing whatever resources I find. So saude and gān bēi to the beginning of this new project! I'm an American with an academic background focused on China, trying to build expertise in Brazil. I hope to work with international development, foreign policy, or international education someday.